So, you may have noticed, we’ve rebranded! We were Lethologica and now we are Capturing Spaces! If you haven’t seen or read the pop-up on our site, let me tell you a bit about why we decided to go in this direction. And we firmly believe with our hearts that this is the right direction. After three successful years of owning and operating Lethologica as a full-service digital marketing agency in Port Moody, we have decided to focus on what we love and do an exceptional job at it. And that is architectural photography. It completely makes sense to us. 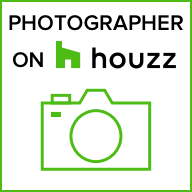 bOB has been a photographer for over 20 years and has worked in the real estate and architectural industries for the last 10 years. It’s his passion – seeing shape and form come alive – Capturing Spaces. So, we decided to commit fully to creating stunning images for real estate, architectural, and commercial properties. This also means expanding our services for these industries and we are thrilled to announce that we have bought a Matterport Pro2 3D camera and can add immersive 3D scans and floor plans to our list of services. Wait until you see what we can do for you now! Call us today to learn about our 3D scans, MLS photos, and Google Street View for Business! From Chilliwack to White Rock, across the Tri-Cities and Fraser Valley, from home in Port Moody to Greater Vancouver, we are… Capturing Spaces.